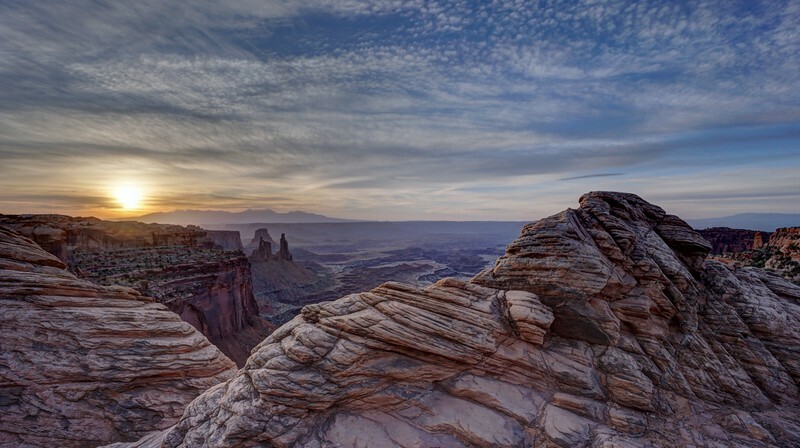 A view into the canyon below from the vantage point close to Mesa Arch on the upper rim. The Colorado River (out of frame) winds its way along the canyon floor cutting the rocks for millions of years to form this canyon. 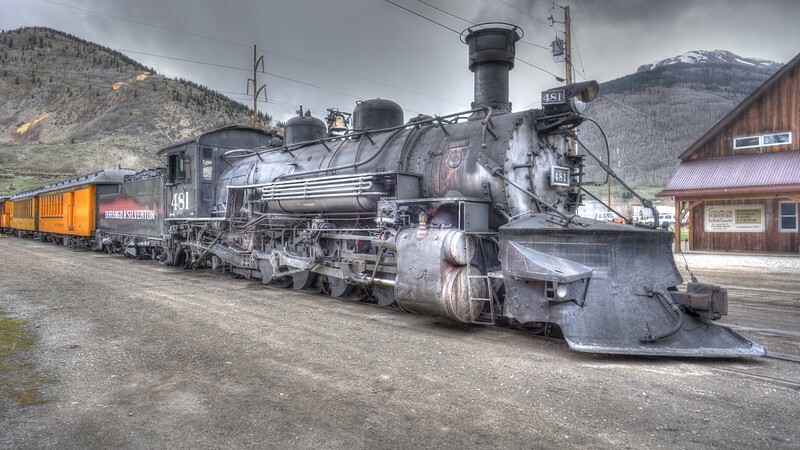 Locomotive 481 of the Durango and Silverton Narrow gauge Railroad. 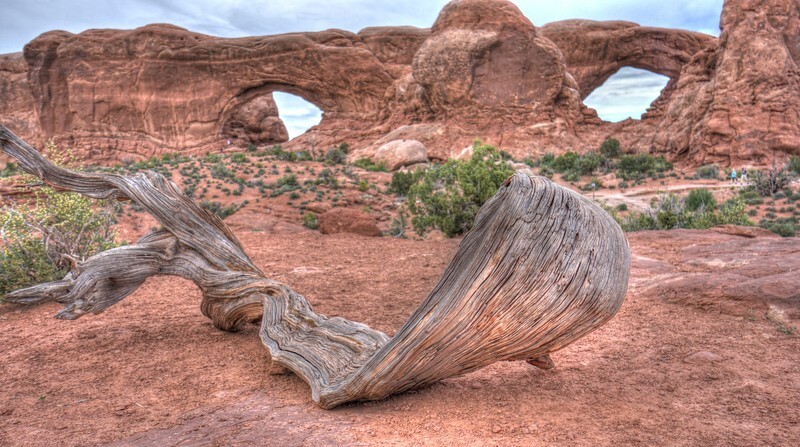 A twisted piece of Utah Juniper lays in the foreground of the North and South Window Arches in Arches National Park. 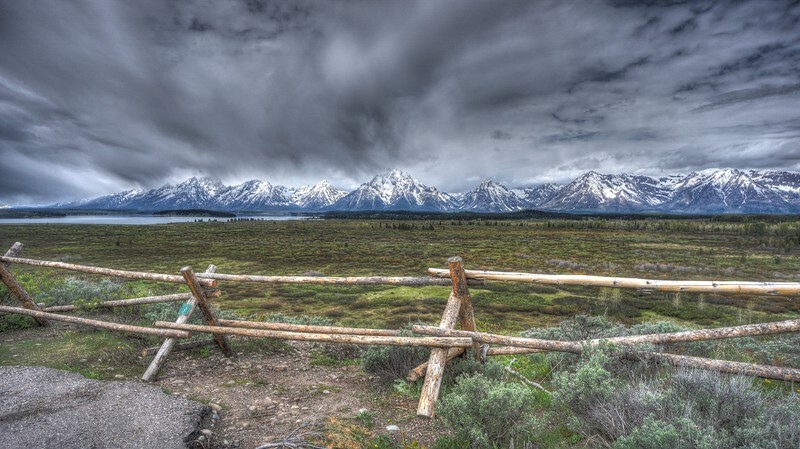 The view from Lunch Tree Hill overlook the Willow Flats and Jackson Lake towards the Teton range in the distance. 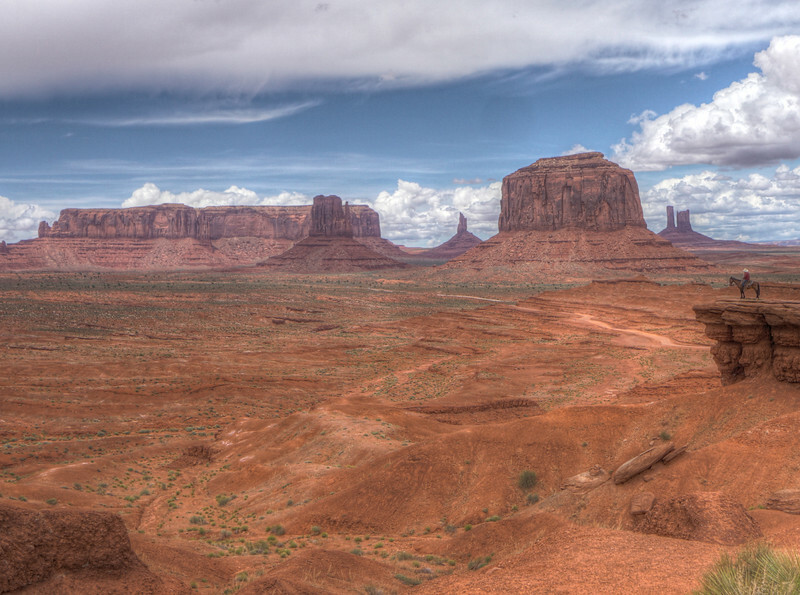 John Ford's Point in Monument Valley Navajo Tribal Park.